Costume and Summery dress encouraged! 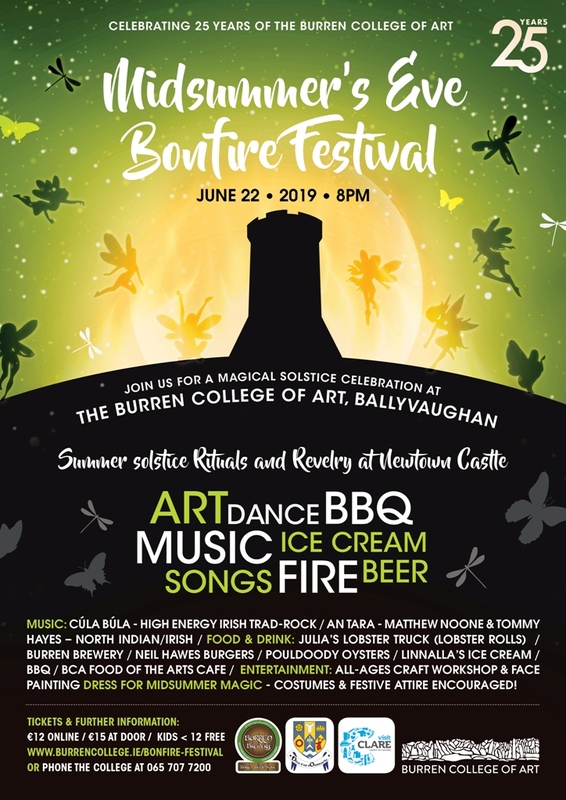 Blazing bonfires, food, wine, beer, art, and music await you in the courtyard of Newtown Castle to celebrate the Summer Solstice and the 25th Anniversary of Burren College of Art. Music will be provided to get you dancing by Cúla Búla, (trad rock from Galway) and An Tara (Matthew Noone and Tommy Hayes – North Indian/Irish). We’ll have free craft workshops for all ages. Wine and dine on BBQ local pork cooked in the amazing La Caja China roasting box, together with Burren Food Trail members including: Lobster rolls by Julia’s Lobster Truck; burgers by Neil Hawes, Burren Food & Wine, Euphoria Beer by Burren Brewery, fresh Pouldoody Bay Oysters, ice cream by Linnalla, and vegetarian options and desserts from the BCA Food of the Arts cafe. 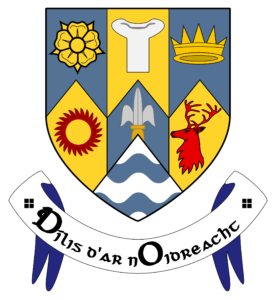 Special thanks to Clare County Council, Burren Brewery, and La Caja China for their support.